This sweet little kitty and nap time blanket are so sweet and cute. With little kids and grandchildren at our farmhouse I am constantly making little toys for them to play with! 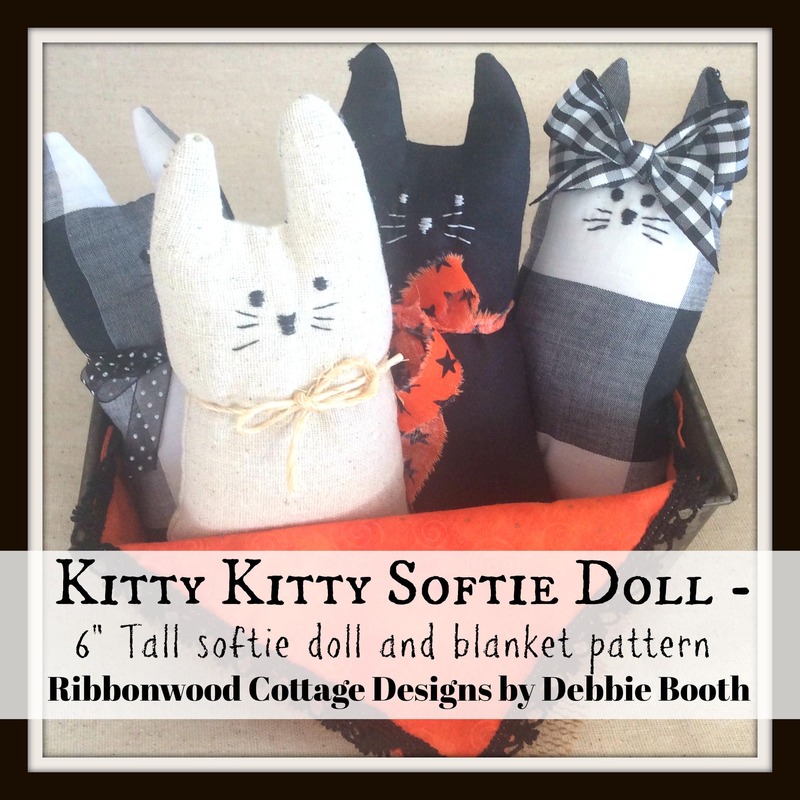 I’ve found they love to lay little dolls, toys, softies and super hero’s down and cover them with blankets, towels, washcloths…so I decided to make a super simple softie kitty and her very own blanket for taking naps with! This is a pattern to make both. 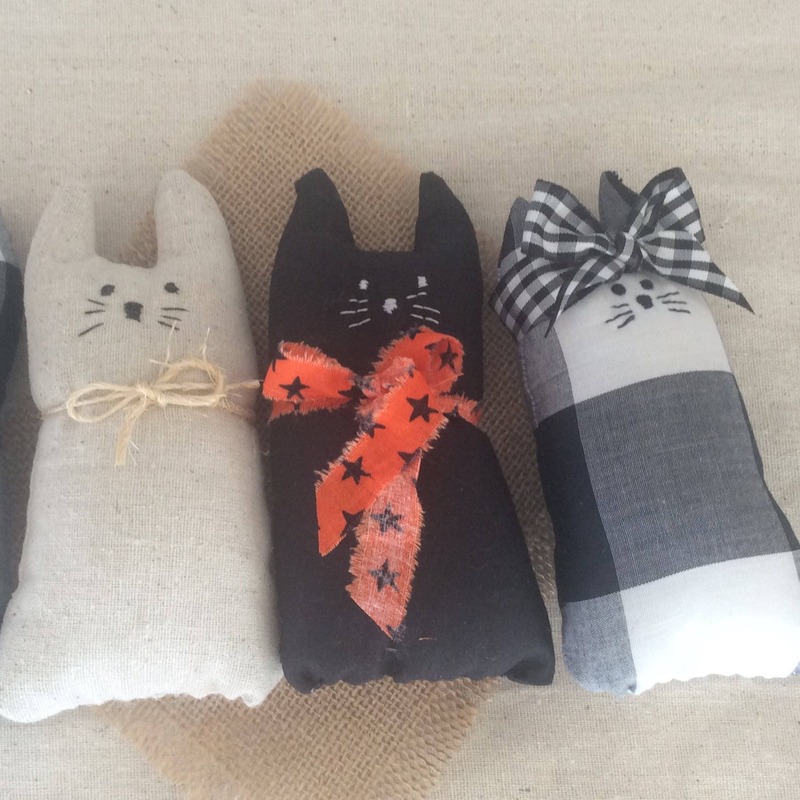 This pattern can be used to create a Holiday kitty or an everyday snuggly kitty depending on choice of fabric. Children or baby themed fabric could also be used to match an existing theme or room. 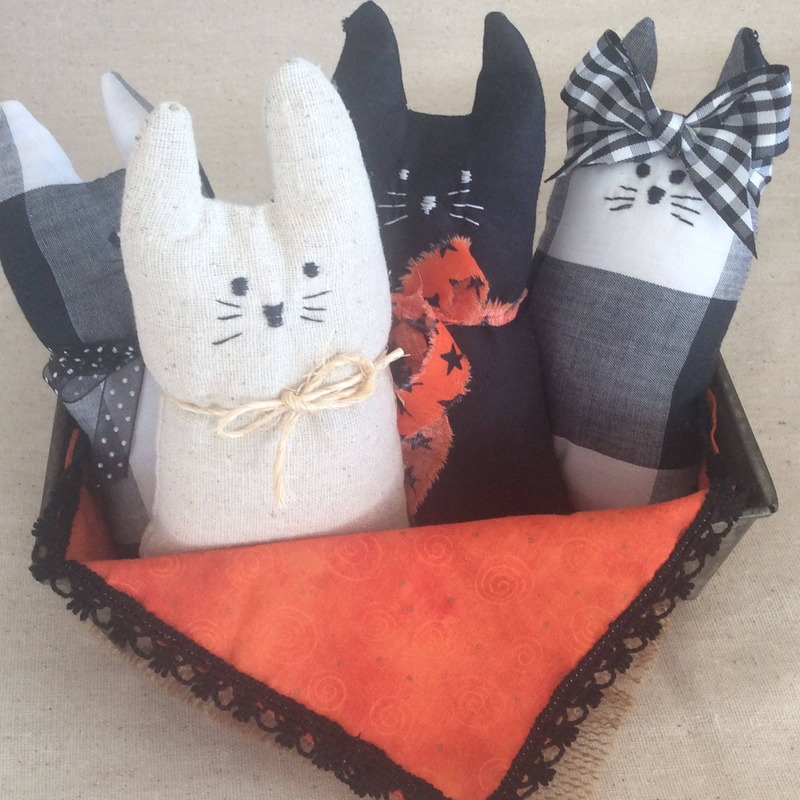 I used 100% cotton, but soft fleece and flannels can be used as well for making this small 6” tall kitten. The blanket is a bit under 8" x 8" square. Does not take long to make, in face I made several once I had made one. The sewing is simple, the stitches on the face are VERY simple. There are pictures, directions and guidelines to make this a simple sewing project! Once your transaction is completed the file pattern will be yours for download. You will not receive this or anything physical in the mail. Nothing is being shipped to you. 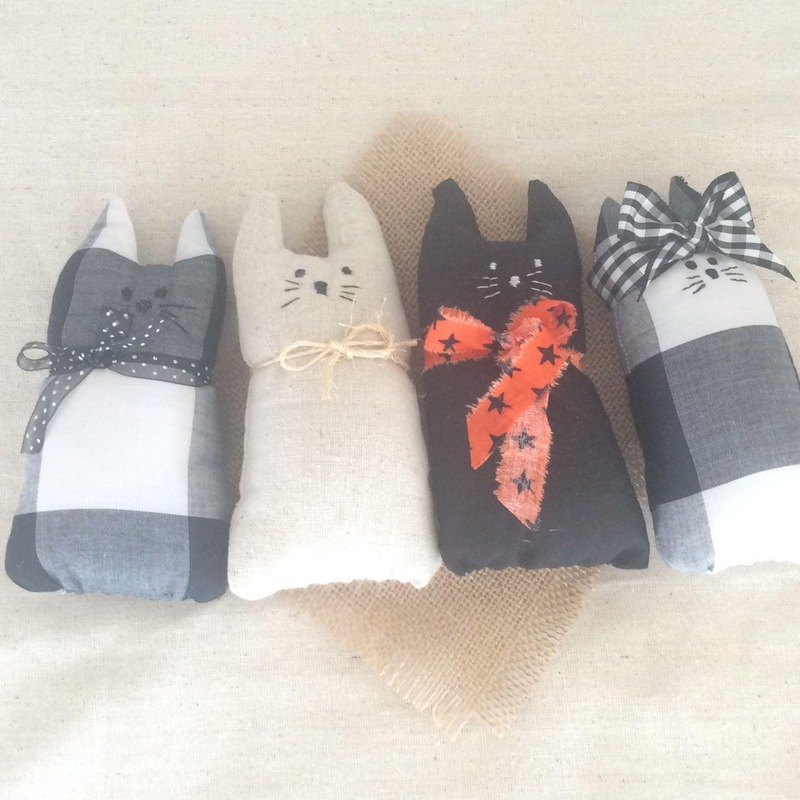 This is a downloadable PDF pattern file.